Chilean avocado growers have hit back at claims that they are leaving local communities without drinking water, calling them “an injustice”. Avocado producers, whose crops end up in British supermarkets, were accused of building illegal pipes to steal water as well as intimidating protestors by activists and villagers in the Petorca region of Chile, publicised in The Guardian and other European news sources. Reporters revealed allegations of intensive avocado production sparking a regional drought, leaving locals dependent on contaminated drinking water delivered by tankers on trucks. 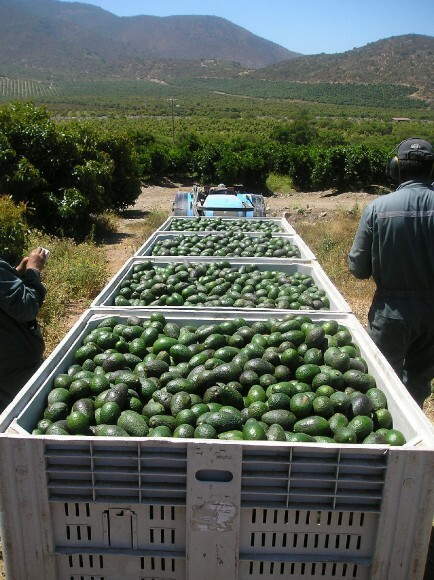 Yet a delegation of Chilean avocado growers from the province are so incensed by the accusations that they have travelled to Europe to assure their customers they are operating fairly. They state the main cause of the water shortages in the region was a drought between 2007 and 2014, which prompted farmers to destroy six million trees in response. Bown and a group of growers and exporters accuse The Guardian newspaper of spreading misleading information about avocado production in their article. Alfonso Rios, of local irrigation group Agropetorca said the illegal pipes had been closed for a long time ago, and Chile was littered with them. “You can ring up residents of Petorca and I will pay you if you find someone without water running from their tap,” he added. Regarding reports of death threats made to people speaking out against the avocado growers, Francisco Contardo Sfeir, general manager of the Hass Avocado Committee, said they have not had any official complaints. Contardo Sfeir also dismissed claims that avocados required 1,000 litres per kilo produced, saying they in fact need just 389 litres. Bown says that area is an agricultural region and the “defamatory” campaign would hit small and medium sized growers the hardest. He added that growers are subject to several regulatory bodies, including the Rainforest Alliance. The British Retail Consortium said it would investigate the claims made in the report, as did the retailer Lidl.